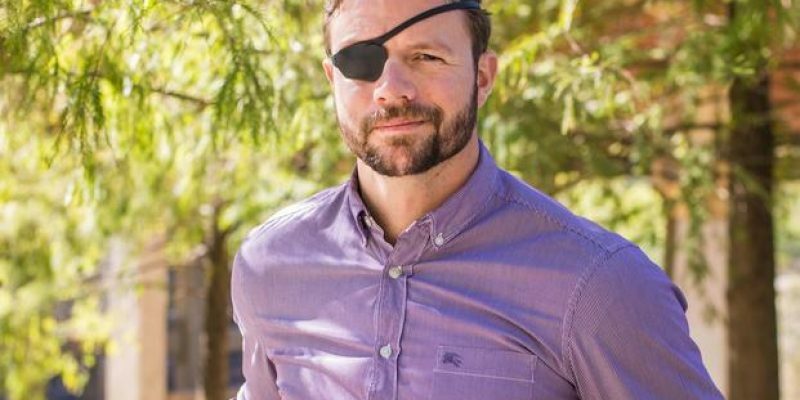 We’ve known since the very beginning of his campaign for Congress that Dan Crenshaw, who won a major victory over Democrat Kevin Litton earlier this month to win the House seat from Texas’ 2nd District formerly represented by Ted Poe, was a major political talent. Crenshaw, who spend 10 years as a Navy SEAL serving in Iraq and Afghanistan and lost an eye to an IED in action in Helmand province, jumped onto the national stage when Saturday Night Live comedian Pete Davidson made fun of his appearance and Crenshaw refused to act offended. He ended up as a guest on the next week’s Saturday Night Live in a segment drawing universal acclaim for his maturity and perspective (not to mention a display of humor which is rare in the strikingly-unfunny SNL of late), in a rare win for a congressman-elect. Crenshaw is rapidly building his legend. He took a major step toward doing so Sunday, when he appeared with a pair of incoming Democrat congressmen on CBS’ Face the Nation to apply logic and reason to some of the less-intelligent criticisms of President Trump – like, for example, that Trump is “attacking” America’s democratic institutions. Crenshaw demanded evidence and examples of those criticisms, and pretty handily won the argument when the temporary banning of Jim Acosta from the White House press room was put forth to “prove” Trump’s supposed assault on the freedom of the press. The current behavioral bar for an incoming member of Congress is strikingly low, as it’s currently being set by New York Democrat Alexandria Ocasio-Cortez, who can’t identify how many houses of Congress there are and spends her time grousing about the lack of respect she’s being shown by her colleagues – and Minnesota Democrat and Somali refugee Ilhan Omar, who after denying hostility to Israel before the election is now trumpeting her full-bore support for the BDS movement. Given that standard, Crenshaw is quickly rising to the top of the incoming congressional class.